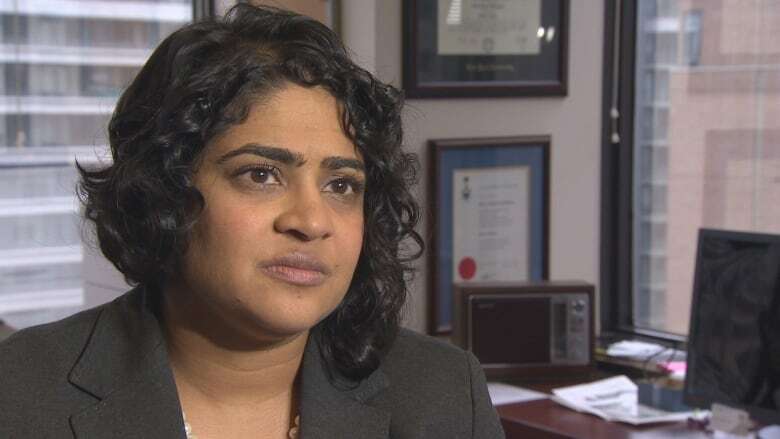 Ontario's chief human rights commissioner, Renu Mandhane, came from Toronto to urge the Ottawa Police to acknowledge racial profiling exists in the force, and to take steps to change its culture. Ontario's chief human rights commissioner showed up at a police board meeting in Ottawa Monday to urge the force to take a stronger stance on racial profiling. A human rights settlement led the police to collect data from their traffic stops, which was then analyzed by researchers from York University. But Renu Mandhane was disappointed that the researchers' analysis, and comments by Ottawa's police chief, stopped short of finding that racial profiling exists. Mandhane's office has studied racial profiling in policing for a decade, and will release its own study on Tuesday of the race data collected. But first, she travelled to Ottawa to tell the police services board her thoughts at its Nov. 28 meeting. "Especially when considered together with the personal accounts that led to the data being collected in the first place, the findings are alarming, are entirely consistent with racial profiling, and cannot and should not be easily explained away," Mandhane told board members. She described the anxiety some people feel when they're looked at by police with suspicion, even though they know they did nothing wrong. Indigenous people and people of minority communities can also be hesitant to report crimes because of the perceived power imbalance, Mandhane noted. She underlined that their experiences shouldn't be quickly dismissed, especially when data exists that supports their accounts. The Ontario Human Rights Commission's senior policy analyst, Runako Gregg, and chief commissioner, Renu Mandhane, addressed the Ottawa Police Services Board on Nov. 28, 2016 to urge it to take a stronger stance on racial profiling. (Kate Porter/CBC)Mandhane told the board that Ottawa police needed to "step up and acknowledge that something is wrong, and commit to doing something about it." "We are doing a number of things with the police service," answered police chief Charles Bordeleau. "And I want to make it clear that I've never denied the existence of racial profiling. I've said it before that racial profiling exists in society, it can exist in policing. And it doesn't belong in either." Mandhane acknowledged that Ottawa is ahead of other police services because it has taken steps to look at the problem. But the conversation must move beyond simply collecting the data to what the force can do with the data, she said. The focus should go beyond holding meetings with community members to dissect the data, she said, given that those communities have already been talking about racial profiling for years. "They've told you what they think it says. It vindicates their lived experience." Instead, the Ontario Human Rights Commission urged the Ottawa police to look at their own culture and practices and get at the root causes. "You hope police services can have a more inward look at what's happening in order to address it, as opposed to being offended and feeling 'Oh? I'm racist?' and then trying to reconcile that. It's more about reconciling what's happening institutionally," said Runako Gregg, the commission's senior policy analyst. The police should recruit officers to better reflect the ethnic makeup of society, in order to gain people's trust, said Mandhane. She also believes they need to cease doing traffic stops, as a form of "fishing expeditions" to root out other crimes, in neighbourhoods that already feel over-policed. "This dragnet approach is just exacerbating this distrust," said Mandhane.